By Jeanie Lang. A masterful retelling of The Odyssey, written especially for younger readers. This book provides a perfect introduction to the storyline contained in the famous classic work, starting from the end of the Trojan War when the hero Odysseus sets off for home after having spent ten years at war. 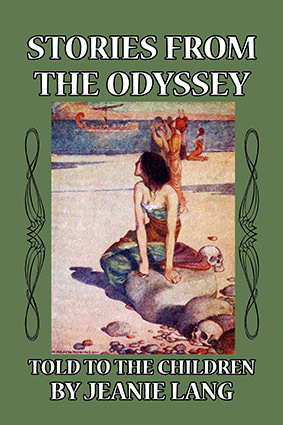 All of the great events and adventures are recounted in this easy-to-read version—the land of the Lotus Eaters, the Cyclôpes, Circe, the Sirens, the Island of Calypso, and much more. 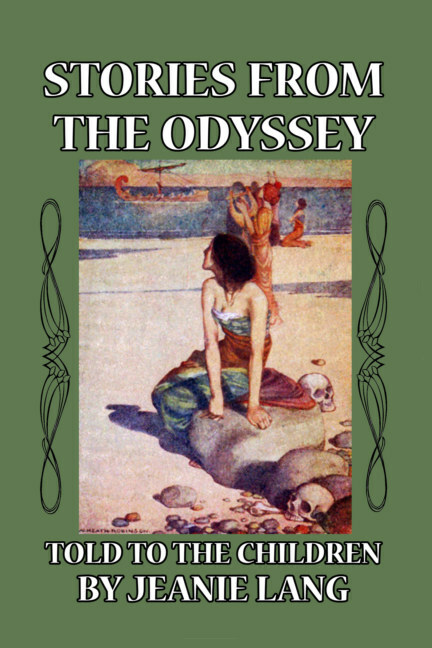 Along with The Iliad, The Odyssey is among the oldest existing works of Western literature, with the earliest written version dating to around the eighth century BC. This version has been completely reset and hand-edited and contains the original illustrations by W. Heath Robinson. About the author: Jeanie Lang was a turn of the twentieth century Scottish author who was introduced to the literary world by her uncle Andrew, who was the first to translate The Odysseyinto English. Her first book was, not surprisingly, a reworking of The Odyssey and The Iliad into a version suitable for younger readers.